September has finally arrived and I’m starting to come to terms with the fact that I’m going to be waving goodbye to the warm summer days and soon enough I’ll be snuggling up as the nights get dark early and the cold weather sets in. Although it’s not all bad news as with the cold brings knitwear, boots and layering pieces so in terms of fashion; I couldn’t be happier. Today I have a look book to share with you featuring some items from Fashion World. 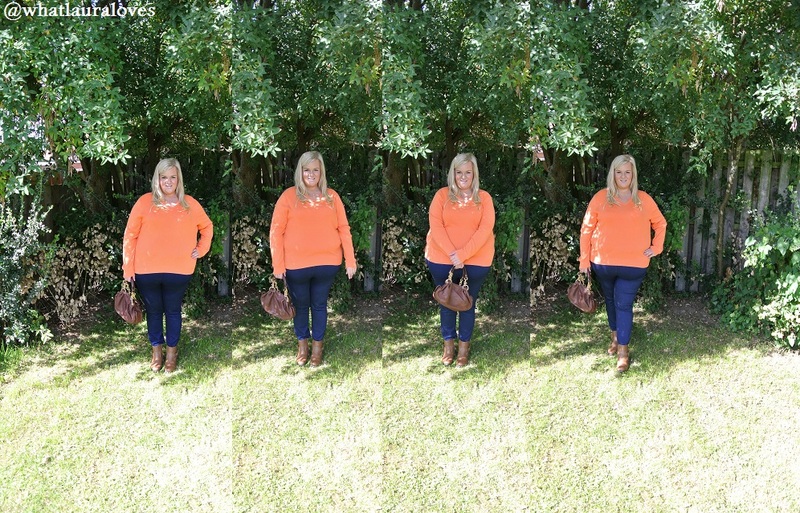 This is part of a blogger challenge and you can head on over to this link to vote for my look. Here I am wearing the Pull On Slim Leg Jeggings* in Indigo which have an elasticated waist for a comfortable fit. The star of the show however is the new Wear Two Ways Boots* that you can literally wear in two different ways, either as knee length boots or as ankle boots. They have this clever little overlay that slides through the buckle and zips up the side of the boot to create the look of knee length boots. However when you want to wear them as ankle boots, all you have to do is simply unzip them, unbuckle them and slide the wrap around overlay off. 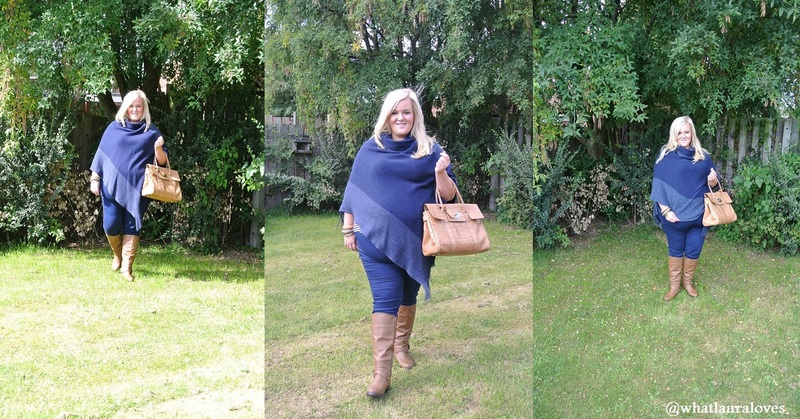 In my first look, I’m wearing some layering pieces for a colder day in autumn look. Jeggings combined with a lighter top and knitwear, like this poncho are great to layer together for when the weather can’t make up its mind. I’m wearing the Wear Two Ways Boots as knee length boots here and I must say how impressed I am with them. When I post photos of my WhatLauraWore outfits I always get compliments on my legs, but would you believe I can never actually find knee length boots to fit my calves? This is always so disheartening when shopping and so I have stayed away from them in the past.When these arrived in the post I was so nervous about trying them on but I really needn’t have been as they fit like a glove. The fantastic thing about these boots is that they come in two calf widths- standard and curvy. I ordered the curvy and they are absolutely perfect. I couldn’t have asked for a better fit. The have a little elasticated panel in the back that stretches to fit your leg which is just perfect for me. The sizing of these boots is fantastic overall actually. Usually I struggle with plus size shoes are my feet aren’t plus size and I tend to find that the shoes come up far too big and wide on my feet but I ordered these in the E standard width in my usual size and my feet don’t move around inside them at all- they are literally the perfect fit! They feel incredibly comfortable to wear as a knee length boot and whilst they keep my legs warm, they don’t make the too warm so that I feel as though I’m over heating! They have a really sturdy sole and a small heel on them. The toes are slightly pointed then rounded off. I have the boots in tan as you can see here but I would definitely buy these again in the black too as I would get a lot of wear out of them. I’ve styled them pretty casually here but they would be able to be worn a little smarter too. For my second look, I’m wearing the same jeggings but with the boots as ankle boots rather than as knee length. I’m actually really excited to style these ankle boots up with some leggings and a cute dress as I think that’ll be a great look for the autumn too. Which look do you prefer? How would you style these boots﻿?